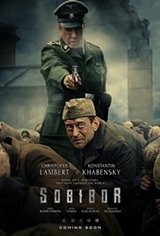 Based on the true story, SOBIBOR tells the story of the heroism of Soviet officer Alexander Pechersky. Sobibor was one of four concentration camps in Poland. Prisoners were not separated into two groups like many of the other camps: fit or unfit for work. Those who arrived in Sobibor were doomed for death. With the greatest odds against him, our hero managed to do the impossible -- in only three weeks he organized a daring revolt, which aided the mass escape of Sobibor's condemned prisoners. Some of the escapees were caught and shot, but the rest followed Pechersky and managed to escape. They joined the resistance to fight the Nazis. Pechersky's victory was such an embarrassment, the camp was dismantled at Himmler's order & Alexander considered one of the Great Russian heroes of WW2.